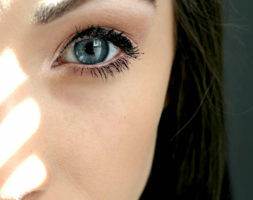 A lot of patients complain about the appearance of their eyes. 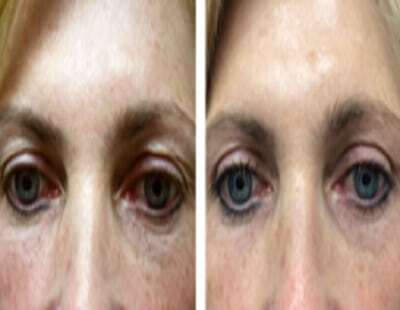 The loss of eyelid elasticity, a crumpled look and the appearance of wrinkles are often the subject of consultations. 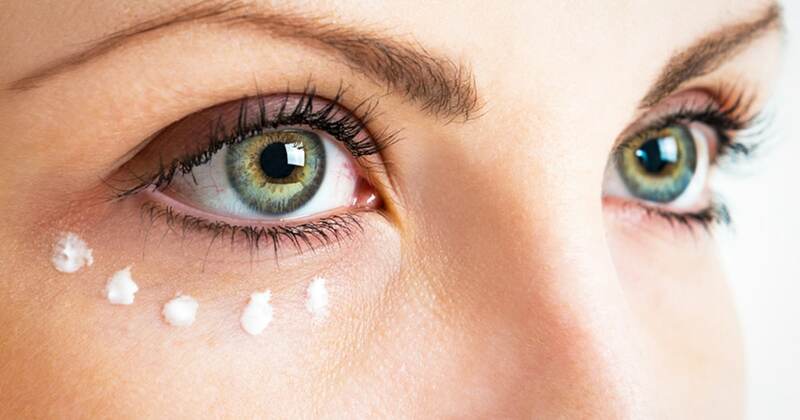 skin pigmentation, skin elasticity, reduction in dermal thickness with the passing of time and changes to the fat, bones and muscles of the under-eye area. 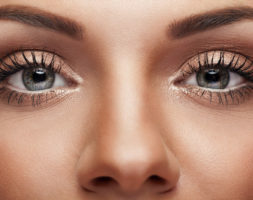 Several factors are responsible for the appearance of wrinkles and fine lines in the upper and lower eyelids. Reduction of dermal thickness: with time, the destruction of hyaluronic acid and collagen overtakes their production which causes a reduction in dermal thickness. The dermis is essential to the tone and thickness of the skin, and when it lessens, the skin becomes crumpled and little lines start to appear..
Loss of elasticity:elastin reduction declines with time. 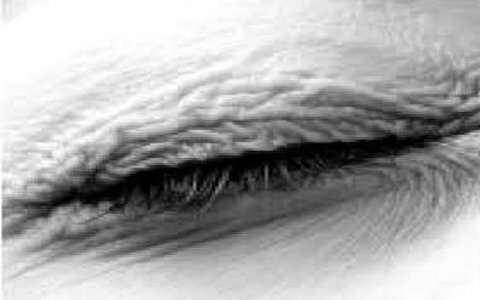 The eyelids lose their elasticity and start to fall. Repeated movements: facial expressions cause dynamic ( movement lines ), then static wrinkles, which, histologically correspond to superficial epidermal and dermal fissures. Loss in volume: here, the ptosis of underlying fat and bone reabsorption cause a reduction in malar tissue support which leads to tissue subsidence. The laser stimulates the creation of a thicker dermis by warming and ablation processes. With the fractionnal modality the result is an improvement of the fine lines (the percentage of improvement is established during the consultation), 4 sessions are realized, the downtime is short 3-5 days. This is the only treatment (among the listed) possible for the upper eyelid. With the continuous modality the result is perfect, one session is enough, downtime is about 7-10 days and then the skin remains pink during 3 months. We use the TCA peel to wait for the average dermis. One session is enough. The principle is the same of a continuous ablative laser, dermal layers are removed to obtain a new, denser skin. The after effects are the same. On this fragile skin I prefer the laser to the chemical agents of the peel. 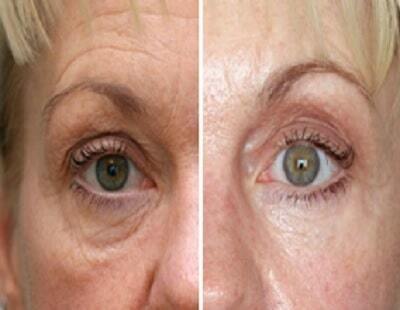 The loss of bone and fat volume, at the orbital and temporal level, is treated by injection of hyaluronic acid. 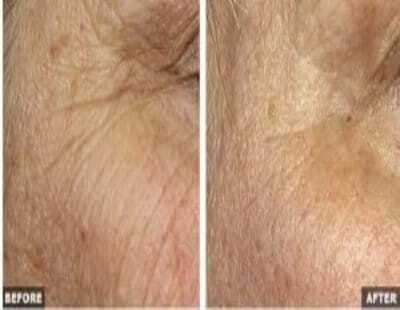 This exerts a traction on the skin which allows to stretch the wrinkles. 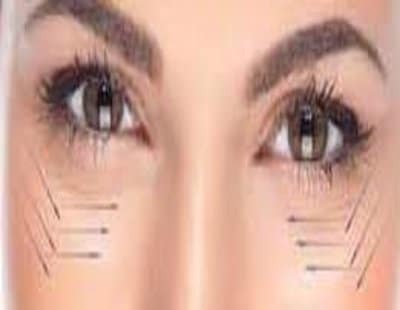 Threads are put directly into the wrinkle and into the skin of the lower eyelid to thicken the dermis and thus reduce wrinkles. The disadvantage is represented by a high rate of bruises. I consulted Doctor Romano for multiple wrinkles at the area of my eyelids. The laser sessions were a first for me, I have absolutely no regrets. I consulted Dr Romano for my wrinkled eyelids, the result is really beautiful and natural, she’s a competent doctor that knows what she’s doing. I had wrinkled eyelids. Doctor Romano told me that in my case the best solution was hyaluronic acid injection. I’m very satisfied, the result is natural. My wrinkled eyelids had become a complex for me. The peeling way was miraculous. Thank you Doctor Romano.